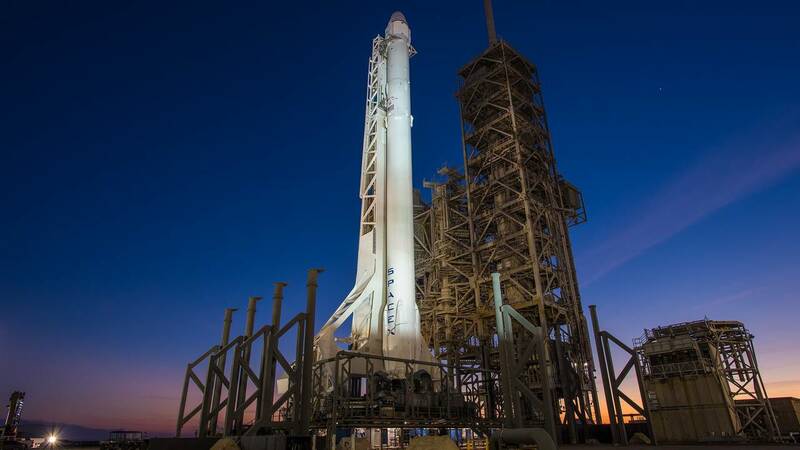 Over the course of just 12 hours Monday, SpaceX plans to guide a Dragon spaceship home from the International Space Station, then launch a communications satellite on one of its Falcon 9 rockets. CAPE CANAVERAL, Fla. - SpaceX's next attempt to launch a Falcon 9 rocket from Kennedy Space Center will be Wednesday at the earliest. SpaceX founder Elon Musk tweeted early Tuesday that the company will spend the 4th of July conducting a full review of the rocket and launch pad systems. "Launch no earlier than (July) 5th/6th," Musk tweeted. "Only one chance to get it right." SpaceX plans to send a communications satellite into orbit. The company has scrubbed launch attempts on Sunday and Monday. A Falcon 9 rocket was scheduled to liftfoff from historic Launch Complex 39A on Monday at 7:37 p.m., but weather pushed it back to 8:35 p.m. The scrub was announced with nine seconds left in the countdown due to a "violation of abort criteria." The mission's first launch attempt Sunday evening was aborted with 10 seconds left in the countdown because computers detected an issue with guidance systems. SpaceX believes that issue has been corrected.